Methadone has, long, been associated with heroin and other opioid treatments, but, today, it is being abused in record numbers by individuals who have never been to a methadone treatment program, nor, been prescribed methadone for any purpose. Along with millions of others getting methadone for pain, addictions and overdoses are occurring at phenomenal rates and methadone addiction treatments are growing in demand. Methadone is a powerful pain reliever. Methadone is a synthetic opioid agonist that works, basically, the same way as other opioids, although it is slower acting. When it attaches to the opioid receptors in the brain, it occupies those receptors, blocking the effects of other opioids, reducing cravings for them, and preventing the person from experiencing withdrawals. 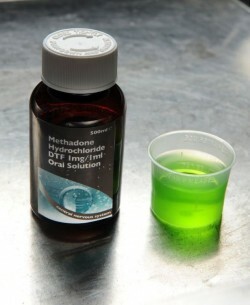 Methadone is a powerful pain reliever, but, it should never be prescribed for less than severe and chronic pain. Methadone maintenance programs were established to help a person regain stability in their lives and live productively with improved physical health and a retained a steady state of functioning. The programs combine a variety of comprehensive treatment methods with the basic idea that once the person reaches certain goals of their recovery, a gradual detox plan will takes place. However, some people do not conform to the programs entirely, others remain in the programs indefinitely, and many feel like they have traded one addiction for another. Detox – Under medical supervision, the person is guided through a gradual tapering off of methadone over several days. Some programs may use partial agonists such as buprenorphine to help the person detox. Methadone withdrawals can be more severe and dangerous than opioid withdrawals and this treatment method is best served in an inpatient setting. Behavioral Therapies – help to motivate people, offer strategies for coping with cravings, teach ways to avoid triggers that may cause relapse, and improve relationships and communications. Counseling – can be provided for the individual, their families, and in group settings to help individuals recognize the areas of their life where they may need help and guide them through their goals with support. Group Support – allows the person to interact with others who have common addiction experiences and learn to build positive support networks that will benefit them in their long term recovery efforts. Medical and Psychiatric Services – help to keep the person stable through detox and assist with any co-existing or presenting health conditions. After Care – helps to support the addict after leaving formal treatment. Relapse potentials are high with opioids and methadone, so these services may be needed a year or more. Psychosocial Services – help to ensure ongoing recovery for the addict. They may include vocational, legal, educational, financial, housing, transportation, or HIV/AIDs services.